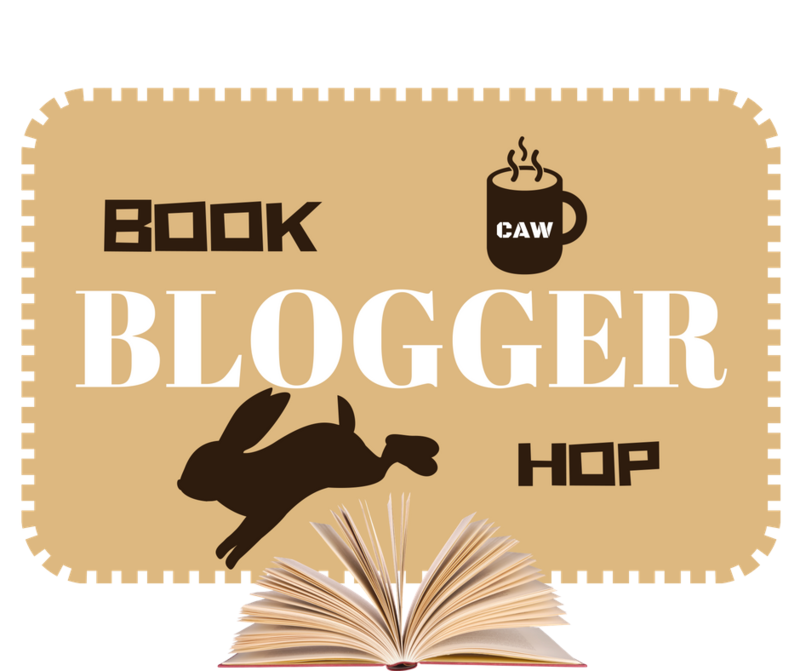 Sunday Post is a weekly meme hosted by Kimberly @ Caffeinated Book Reviewer! I'm a few days behind in my reading schedule. I just finished reading Her Fear by Shelley Shepard Gray early this morning and I'll be posting my review for it this afternoon. Originally, I was going to start reading Lizzie Borden, Zombie Hunter 2: The Axe Will Fall by C.A. Verstraete on my Kindle on Friday, but I didn't get around to it, so hopefully I will find time to read it today. 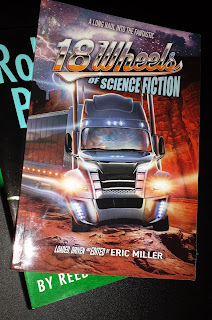 I'll be probably be speed reading 18 Wheels of Science Fiction anthology tomorrow, so I can post my review for it on Tuesday. Later in the week, I'll be reading Robert B. Parker's Colorblind by Reed Farrel Coleman, which I have had an ARC copy for awhile now. 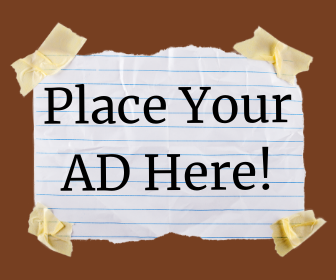 It's a non-requested title that was sent to me earlier this year. Well, I'm a little further along with the American Mirror: The Life and Art of Norman Rockwell. As of today I am on page 50 (AKA - Chapter Four). 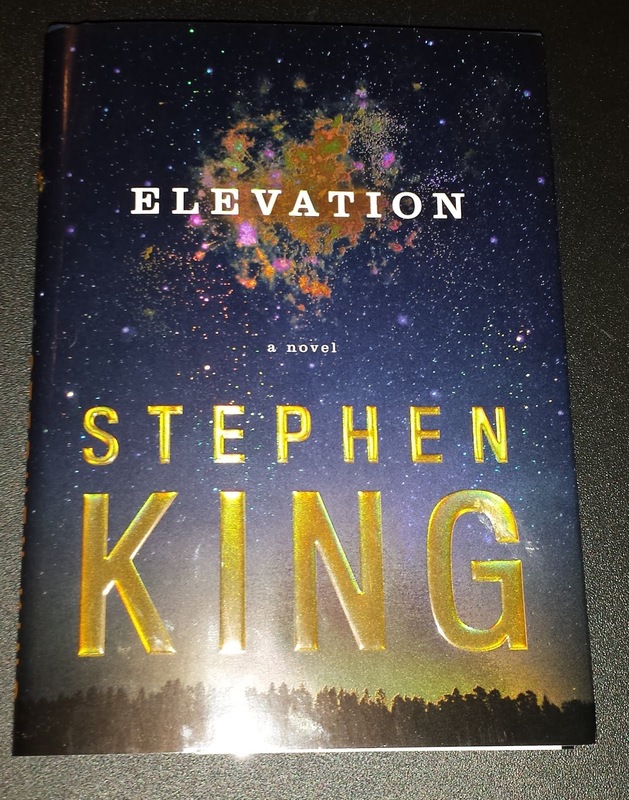 I've been a big Stephen King fan ever since I first read The Shining when I was a teenager, so naturally I excited about last week's release of Elevation, which isn't the typical 500+ page epic, but instead it's only a 146 page novella. 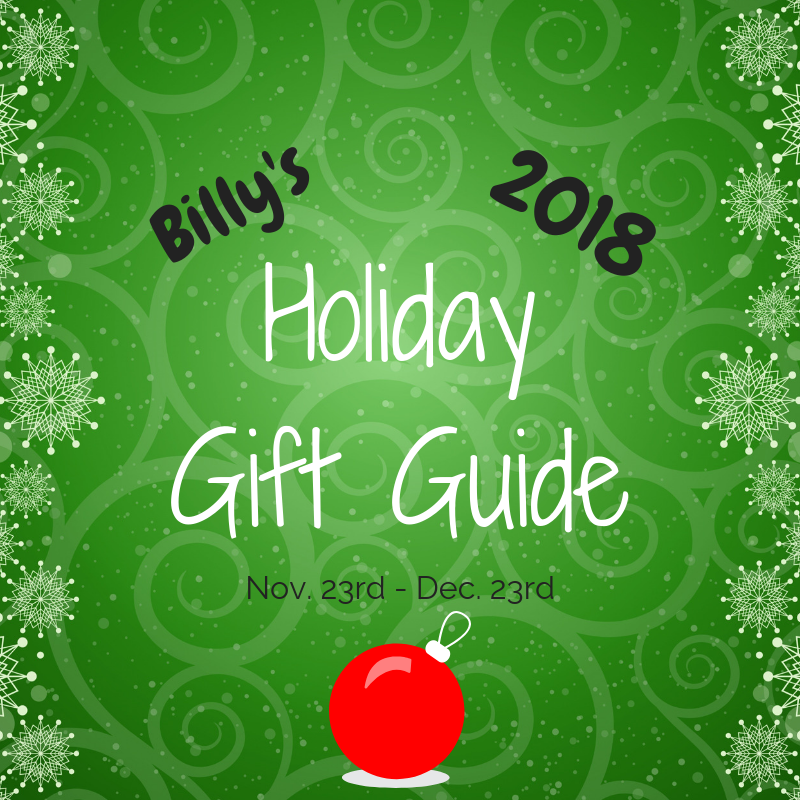 Money is a little tight for me right now, especially with Christmas just around the corner, so I'll probably won't be buying to many new titles until January. Luckily for me, Scribner sent me a review copy, which arrived in the mail on Friday afternoon. 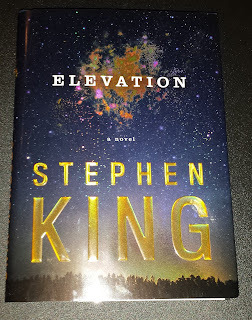 Since Elevation is such a short read, I'll probably read the book in the next few days. Or I might even read it today because I really, really want to read it! I received Ripley's Believe It or Not: A Century Of Strange! 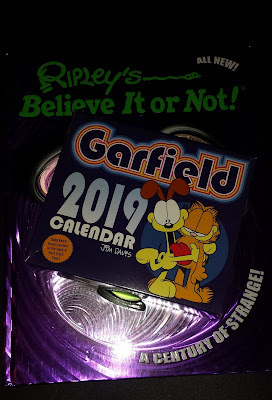 and Garfield Day-To-Day Calendar in the mail just a few days ago. I'll be reviewing them during this year's Holiday Gift Guide. I have way too many books on Kindle that are either from NetGalley or First Reads from Amazon Prime. I really do need to read and review these soon, though probably not until 2019. 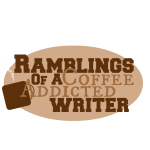 Nevertheless, I've added a few new titles this week. 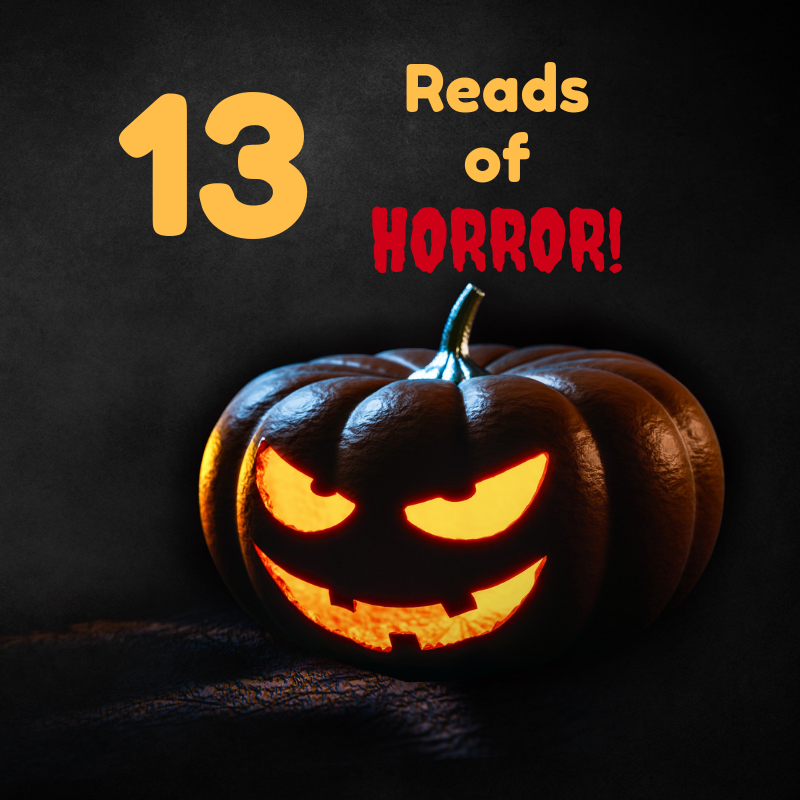 Since I'm an Amazon Prime member, I get to pick out one First Reads book per month, which for November I picked The River Widow by Ann Howard Creel. I wasn't aware there were two more books in The Girls of Spindrift novella series by V.C. Andrews until I stumbled upon them on Amazon last week. Since they were only $1.99 each, I went ahead and downloaded Mayfair and Spindrift. Maybe I can read these sometime this month. I found four R.L. Stine eBooks that I have never heard of before for $.99 each. 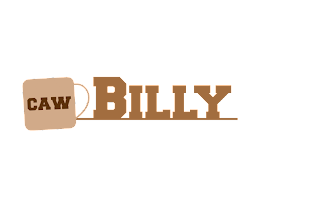 The titles are Zombie Town, The Adventures of Shrinkman, My Alien Parents, and Three Faces Of Me. Lastly, I downloaded a "free" version of the classic novel Treasure Island by Robert Louis Stevenson. I remember reading it during my childhood, but I never owned a copy. Since I have been watching Black Sails on Blu-ray, I'm wanting to reread the original novel. Actually, I was surprised that I didn't already have the book. I believe the only title I have by the author is Kidnapped. I stopped by my local thrift store yesterday. I didn't find any good books there. 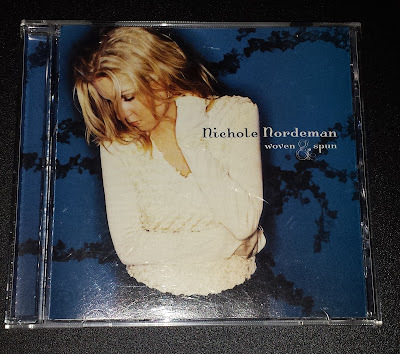 However, I did buy the music album Nicole Nordeman: Woven Spun, which I've been listening to as I've been writing this post. I also picked up The River Widow! I hope we both enjoy it. Have a great week! Normally, I would randomly pick one of the First Reads selections, but this month I actually recognized an author - Ann Howard Creel. I liked her book, "The Magic of Ordinary Days." I felt the same way about Black Sails and Treasure Island- after watching the show I wanted to read Treasure Island too, but I haven't yet. 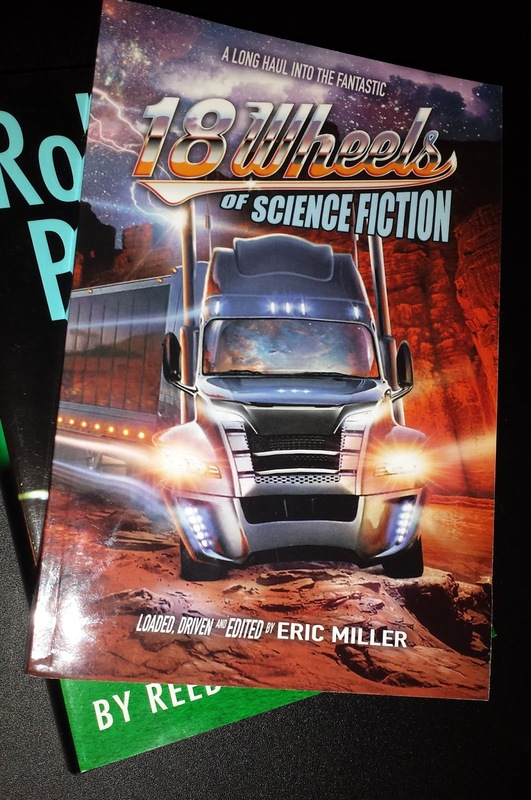 And 18 Wheels of Science Fiction looks like a good SF anthology. I'm not for sure when I'm going to get around to reading Treasure Island. It will probably be next year.